CUCET Admit Card 2019: To pursue BTech/ MTech/ Integrated MTech/ MSc/ BSc/ Integrated BSc/ BDes/ MA/ BEd/ LLM programmes from any one of the 10 Central Universities you will need to take the CUCET Exam. So those candidates who will appear in this exam must download your admit card via online. 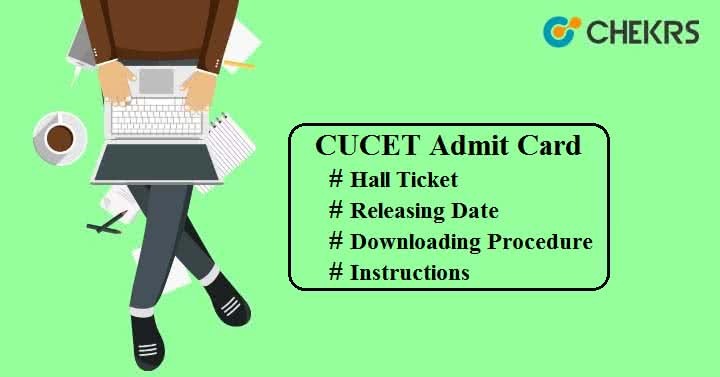 Here we have mentioned the complete information related to CUCET Hall Ticket such as admit card release date, exam day instructions etc. Here we have provided the simple steps from which the candidate can download their admit card. The CUCET Exam Hall Ticket Download steps are given below. Click on Admit Card download link available on the home page. Enter your application form & date of birth and then click on ‘Login’ button. Your CUSAT 2019 Admit Card will be appeared on the screen. Save the admit card and take print of it for future references. Candidates can check the expected CUCET Exam Date 2019 here. You can also see other important events that come before or after the examination. Those who will appear in the examination should have their Admit Card with them. Without that you will not allowed to enter the examination room. Candidates must carry valid ID proof along with the admit card on the day of exam. ID proof can be Aadhaar card, PAC card, School/ College ID card. Arrive in the examination room half an hour before the start of the examination. Candidates are suggested to keep the print of admit card for future use. Check all the details mentioned on the Hall Ticket. In case of mistake, you can contact to the concerned official authority. For feedback and queries related to CUCET Exam Admit Card, write back to us. We will reply to you soon.